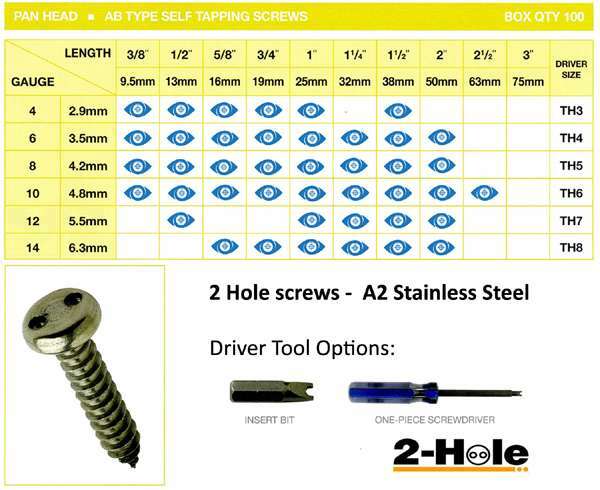 Twin Hole tamper resistant security screws (also known as Snake Eye screws or Pig Nose Screws) have two small holes drilled into the head. A special twin pin driver bit is required to both tighten and release the screws. The Twin Hole Security Screws or Snake Eye or Pig Nose Screws also known as 2 hole security screws are manufactured from A2 stainless steel and are suitable for internal or external use. 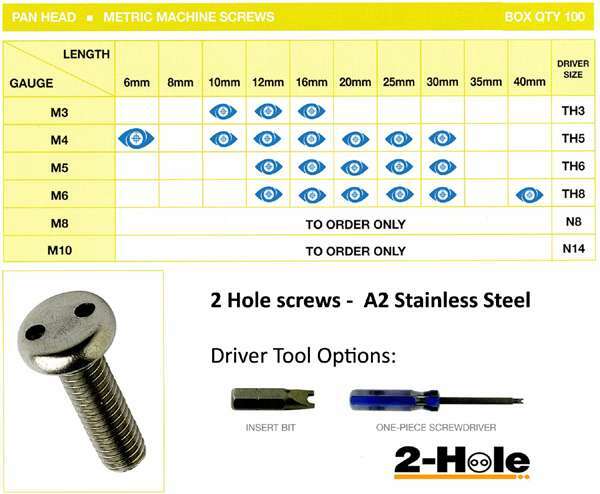 The screws are available as Self Tappers in Countersunk Head and Pan Head formats, and as Machine Screws with Countersunk Head, Pan Head or Raised Countersunk Head. All are available in box quantities of 100. 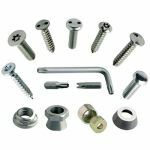 The attractive appearance of 2 hole screws make them a popular choice by Architects, where aesthetic appeal is as important as the requirement for a security fastening. 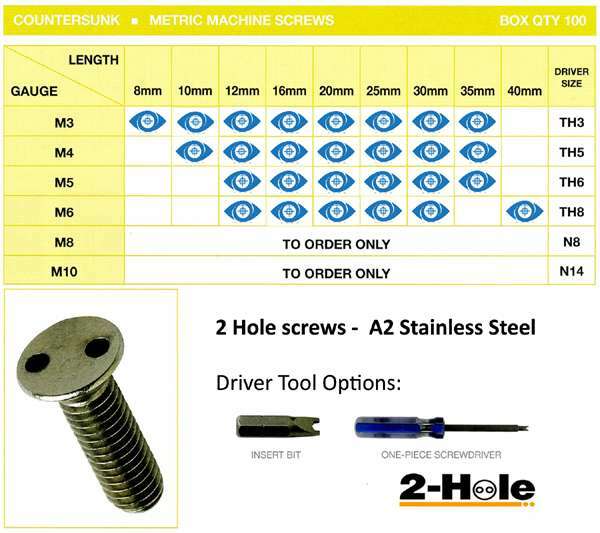 Londons' Gherkin building, the London Underground and many other well known and prestigious locations are just some of the places you'll see 2 hole security screws in use. They are also often used un public buildings to secure glass panels to the side of open staircases.